Every day is full of bliss, joy, and merrymaking in Merrymaker Land. The Merrymaker Sisters, “Emma and Carla Papas” have hit the ground running on, “Your Brilliant Un-Career” to blow your mind with their “making the leap” story. They started a business online to help people across the globe live better lives. 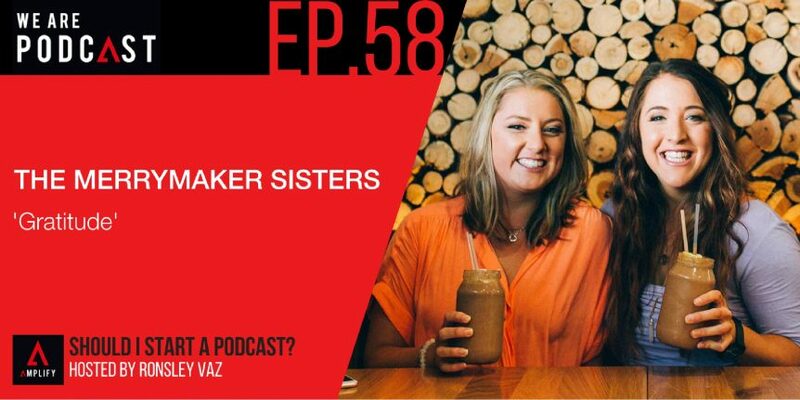 Emma and Carla Papas, ‘The Merrymaker Sisters ’ are communication professionals and passionate health coaches. Started in February 2013, they’ve published the healthy cookbook, “Make It Merry”. It will inspire you with real, paleo food recipes and help you find and follow your bliss. Within a few short years, the girls have skyrocketed to success. The Merrymaker Sisters has been partnered with international brands. They connected with like-minded people together. They have been featured across international and national media channels. They have just recently scored a publishing deal with their dream publisher Hay House. Their website and social media channels reach over 150, 000 people every month. Gold Coast ProBlogger event – highlights of Emma and Carla Papas. The difference of having a positive mindset towards your dreams and goals. The fear of failure hindering your success. How to recognize and overcome fear? The importance of being grateful. What are the Merrymaker sister contingency plans and how does it works? How to get comfortable with failure and keep moving forward? The uncomfortable part of being an entrepreneur. The significance of having a positive outlook in life. How do live events help the Merrymaker sister succeed in their business? Emma and Carla Papas important piece of advice. What are the things you should be grateful with? How social media and or online presence helps inspire hundreds of people? Your career impacts your health so much. Eating healthy is important but finding your passion and following it is equally important. It’s not always about how you look. It’s about how you feel. Believe to make it happen. What are the most important things to consider running a business online? Where to find the Merrymaker sister?